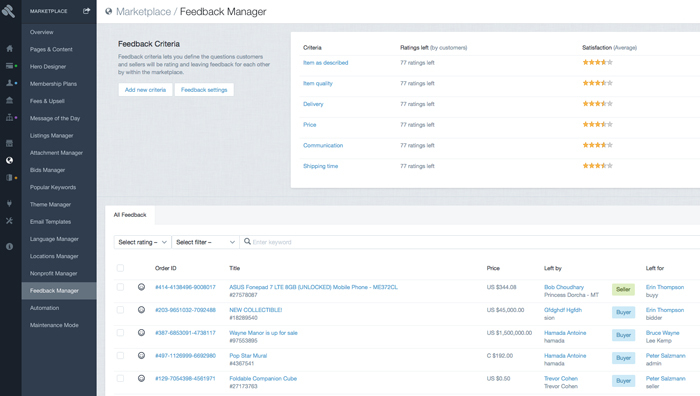 Feedback manager lets you create custom criteria to define the questions buyers and sellers will be rating and leaving feedback based on within the marketplace. In some situations buyers and/or sellers may not be focused on leaving feedback for one another. In those situations you can set a value in days in which the marketplace will automatically leave 100% positive feedback for that person (or persons).